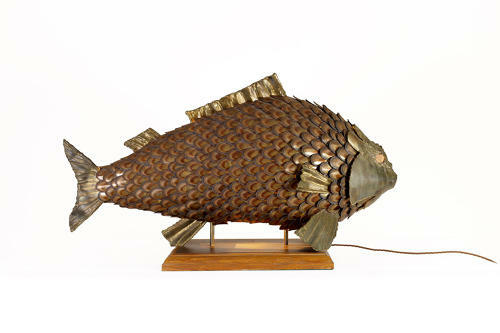 Extraordinary brass and patinated metal table lamp mounted on a wooden plinth. A single bulb holder illuminates the glass eyes. Amazing privately commissioned piece and believed to be one of a kind. A high quality piece possibly made by Maison Jansen, Paris.